In her new cookbook, Sticky Fingers’ Sweets, Petersan shares the secrets behind 100 of the bakery’s hugely popular recipes—everything from tiramisu to red velvet cake to key lime pie—and not an egg or an ounce of butter in sight. 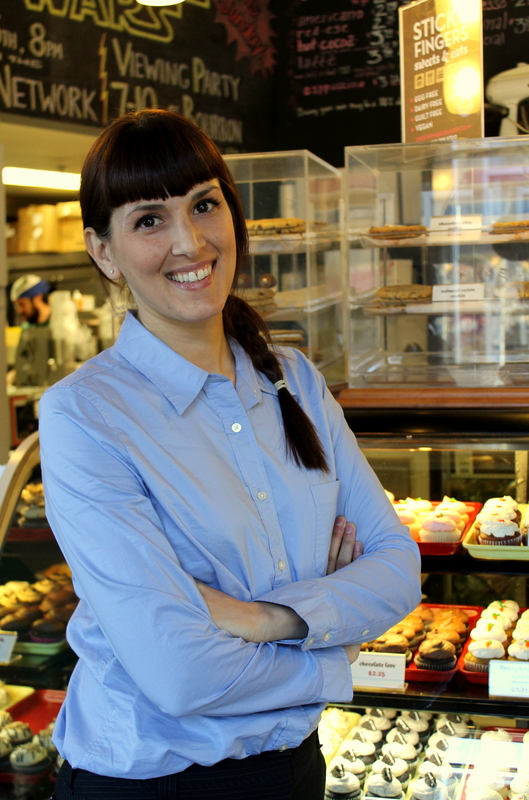 Moment Magazine sat down with Petersan at the Columbia Heights bakery to find out about her favorite Jewish foods, the cupcakes that made her a celeb chef and the recipes that elude her to this day. MM: In Sticky Fingers’ Sweets, you call yourself a “Jew-talian from New York.” What was it like growing up there and how important was food to your family? DP: I grew up in a household that celebrated every type of food. Every single Italian deli or Jewish deli in New York that you walk into, there’s this sort of Italian-Jewish hybrid food where it’s like, pizza, bagels, calzones… It’s just a constant meshing of the two cultures—the Jewish and the Italian food groups. Even though I went to junior high and high school in upstate New York, my family is from Queens, so I would always head over there for every holiday and every family gathering. So, I did grow up eating a lot of Jewish foods, but it was all one to me really. It was just New York food. These days, I would say that I identify with a more Mediterranean style of eating. MM: If you had to pick just one, what would be your favorite Jewish food? DP: I would say my all-time favorite is latkes. We made them here at Sticky Fingers this year during Hanukkah, and then during Purim we made apricot hamantaschen, which was really fun. We’re definitely learning how to introduce foods that are not as common in DC and really be able to enjoy making them…and eating them! MM: What led you to open up a vegan bakery in Washington, DC? DP: When I first decided to go vegetarian, I went home and ate every single one of my favorite foods in my grandmother’s house—chicken cutlets, meatballs. I just emptied out the fridge and the freezer, because I thought I’d never get to eat them again. But soon I realized that I could still make the flavors I was missing and I really loved. I was taking some food science classes at the University of Maryland and suddenly realized that a lot of the ingredients that came from animal products could easily be tweaked using some food science techniques to come up with the vegan counterparts. I didn’t want to have to suffer or risk not being vegetarian, so that led to the creation of the bakery. Although we started off as a bakery, we quickly realized that people are going to pass out from sugar overdoses, so when we expanded into Columbia Heights, we included a café, so now we have everything from sandwiches to soups, salads, and wraps. But we’re still really known for our vegan baked goods. You can go anywhere and find a veggie burger but you rarely find an egg-free, dairy-free cupcake. MM: As a two-time winner of Food Network’s “Cupcake Wars,” you’re definitely known for your cupcakes. What do you think is behind the cupcake craze in Washington, DC, New York and across the country? DP: They’re the perfect little hand-held dessert. They’re the perfect size, just enough to satiate a sugar craving, and they’re inexpensive. 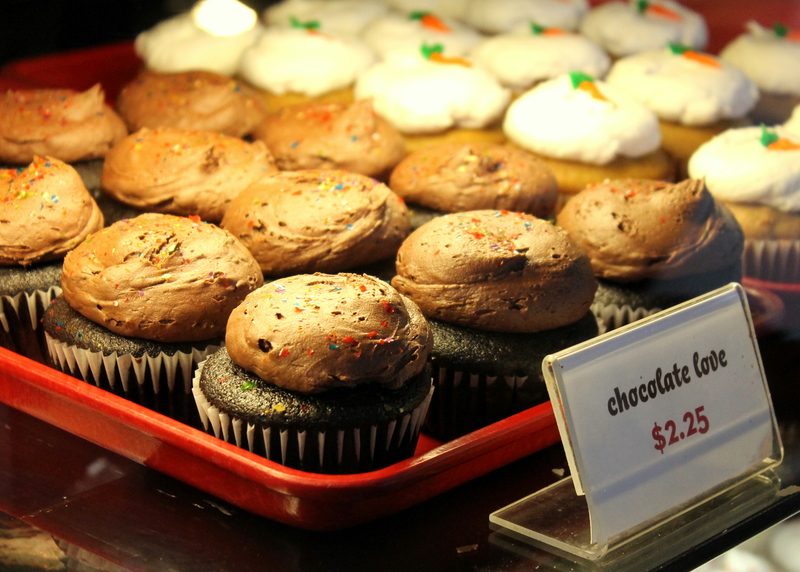 We sell more cupcakes than anything else in the store and the chocolate cupcake is our most popular cupcake. But if you had to pick one individual item that we sell the most, it’s a toss-up between our cinnamon sticky bun and our Calvin cookie, which is an oatmeal sandwich cookie filled with frosting. MM: Do you have a vegan cannoli recipe in the works? DP: Yeah, I talk about cannoli a lot. My mother’s side of the family is Sicilian and we’re very particular about the flavor of the filling. So I’ve had a lot of cannoli in my life and tried a lot of vegan cannoli, and I have not found the right combination yet, but it’s something I’m actively working on. I promise we’ll get it! Pre-heat oven to 350 degrees Fahrenheit and line two 12-cup muffin tins. For the crust: In a medium bowl, mix together the almond flour, the sugar, and the almond extract. In a small heavy-bottomed saucepan, melt the margarine. Add the melted margarine to the sugar mixture and stir to combine. Fill the muffin cups with the two tablespoons of the crust mixture each and press the mixture into the bottom of the muffin cups. Set aside while you make the filling. Make the filling: In the bowl of a stand mixer whip the cream cheese with a paddle attachment until soft, 1 to 2 minutes. Scrape down the sides and bottom of the bowl and add the sour cream and sugar. Cream together the ingredients until fluffy, 3 to 5 minutes. In a small bowl, whisk together the egg replacer and water to dissolve the egg replacer. Add the egg replacer to the sugar mixture and mix until incorporated. Add the vanilla, lemon zest, and mix until incorporated. Scrape down the sides and bottom of the bowl to ensure that all the ingredients are mixed together. Add the flour and mix. Fill the twelve prepared almond-crust cups with the cream cheese filling until the filling reaches the top of the muffin liners. Bake for 15 to 20 minutes, until the tops begin to brown. Cool completely on a cooling rack. Refrigerate for 1 to 2 hours to firm the cupcakes before serving. Hungry? Sticky Fingers Sweets & Eats is in Columbia Heights, on Park Road between 13th and 14th streets—and everything in the café is baked on the premises. Sticky Fingers’ baked goods are also available for purchase in the Mid-Atlantic region at natural foods stores and Whole Foods. Have a knack for baking? Petersan’s recipe book, Sticky Fingers’ Sweets, is on sale at the bakery, as well as on her website. I once lived in the DC area and have moved to the Pacific Northwest, where it’s easy to get vegan goodies. Now there’s another reason to visit friends and family back East. Thanks! Cupcake enthusiasts in New York should consider attending the Gardiner Cupcake Festival on May 19th in Ulster County.